Hi!! 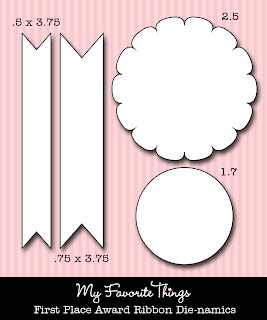 It's time for the My Favorite Things VIP New Product Tour!! The Pure Innocence Fun in the Sun VIP Collection is available NOW - right HERE! This collection is a LIMITED QUANTITY product that gives you the opportunity to purchase upcoming stamp sets and a new Die-namics die TWO WEEKS early. Hawaii? Oh, yes please!! I stamped her in Memento Tuxedo Black ink and then colored her with Copic markers. 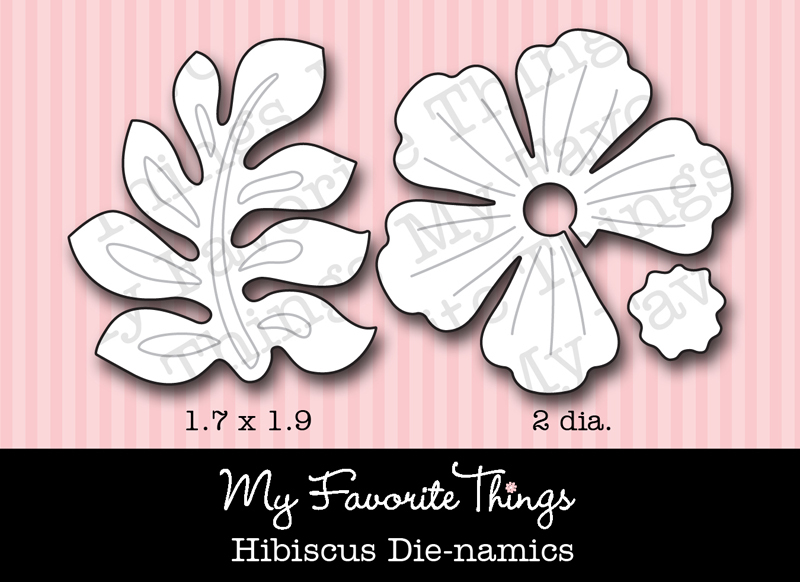 How gorgeous is this new Hibiscus Die-namics??? 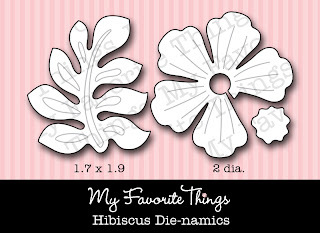 I love the embossed detail the die gives the flower and leaves - LOVE it!! I used the Notched Border Die-namics to create the little tabs peeking out under the image panel and I stamped the sentiment on the First Place Award Ribbon Die-namics. 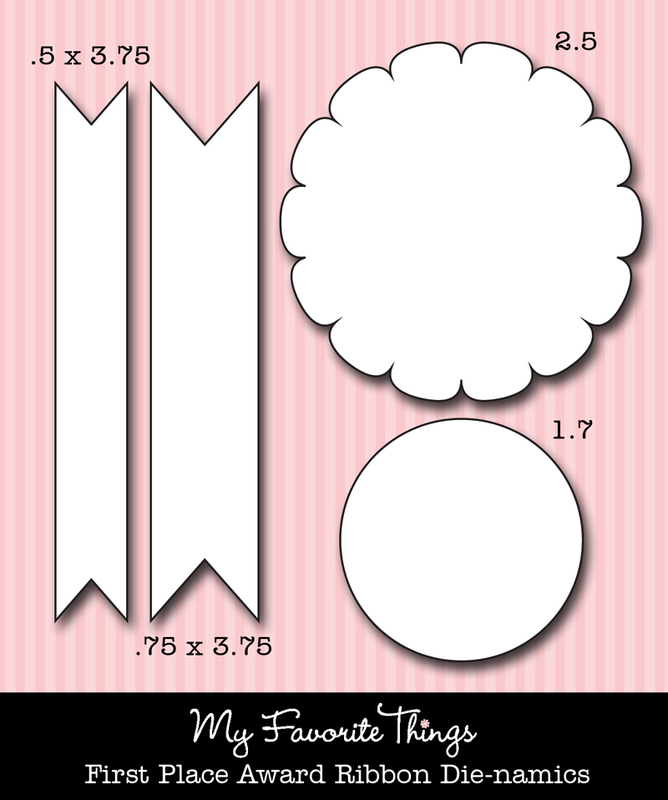 The layout is Retro Sketches RS#12. I stamped the image again on some Summer Fresh papers and then cut out the grass skirt and cut it in small strips. Then I fluffed out the strips to make the grass skirt more 3D. Here I only used the Hibiscus leaf and the sentiment is from Fun in the Sun Sentiments, which is only available with this VIP offer. Next up is Pure Innocence Sprinkler Girl. I stamped this sweetie in Memento Tuxedo Black and colored her with Copic markers and I paper pieced her little swim suit. I used the Notched Border Die-namics again and used o n of the Fishtail Flags STAX Die-namics underneath. 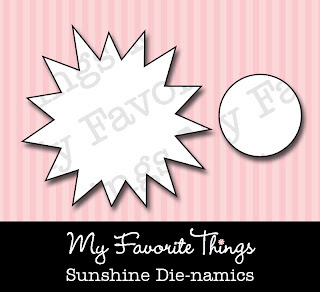 I just bought the Sunshine Die-namics and couldn't wait to use it with this VIP special! The layout is MOJO242. I did the inside of this card a little differently than I usually do. 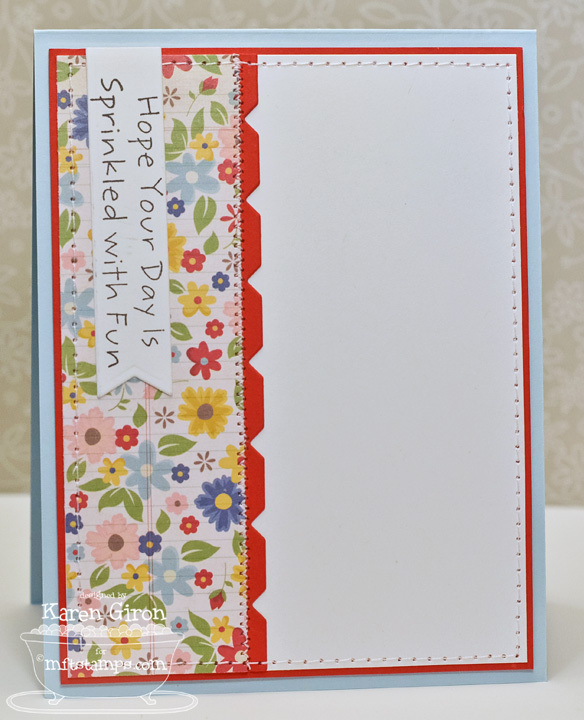 I used the same Summer Fresh papers and used the Notched Border Die-namics down the side of the card and hung the sentiment on another Fishtail Flags STAX Die-namics die. Be sure to hop on over to the MFT Blog for a complete list of all the designers playing along tonight, as well as more details on the VIP Collection. This one is going to go fast, so get hopping! OMGosh - these are both SO ADORABLE!!! I don't think I could make a card this cute if I worked on it all day! Thank you so much for joining us at RetroSketches this week! Oh my GOSH! That hula girl card is CUTE! How clever to cut the skirt like that. I also love the color combo! Your sprinkler girl card is adorable also! Oh, my word, I am in love with how you created her 3D skirt. You rock! Oh these are both adorable.The images are so sweet and I adore the paper you used on both of them. LOVE the colour combo of the first one - so fun :) Great work on both cards. Such sweet cards..LOVE the skirt! Both cards are SUPER SWEET Karen! The colors are fun and really do remind me of summer! So glad you played RetroSketches this week! 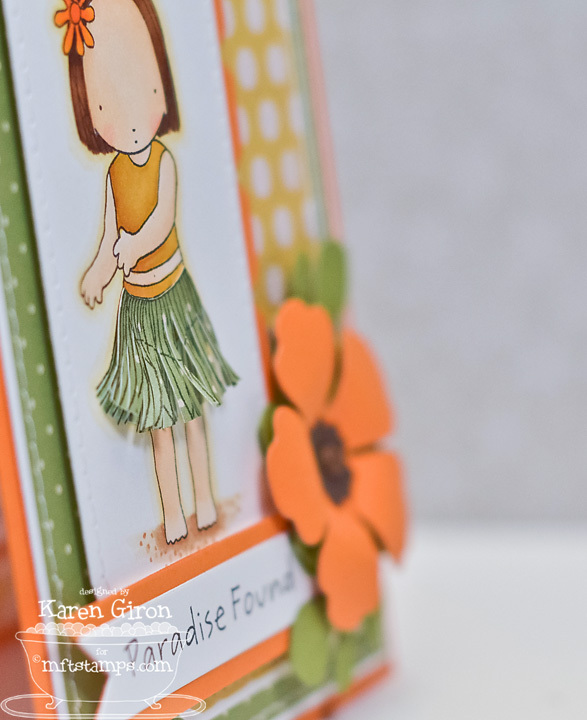 WOWZERS ..you created 2 gorgeous cards, love the dp sun, and your hula skirt...so perfect! The orange Hibiscus is stunning! I am in love with both of your fabulous cards, patterned paper and dies. Fantastic! sweet, fantastic, fun, and fabulous. love these both...especially the first one. the colors are so rich and inviting! and Hawaii-YES! Sooooooooooooooo LOVE these sunbathing beauties Karen! Great colors! Both of these are adorable!! Loving the papers your chose!! Both SO cute!! Love the papers and stitching! THESE ARE GORGEOUS (and yes, I AM shouting!!). LOVE your paper choices and coloring on both, and Hula Girls's skirt is the BOMB!!! These are both completely ADORABLE!! !